I am busy getting ready for school to start. And boy does it seem too early for school...and too hot. We had Meet the Teacher night yesterday. I am the proud owner of lists and list of needed school supplies and forms to be filled out. I need to stock up on lunch supplies. I have a fun Back to School breakfast-extravaganza of sorts that I am trying to throw together at the last minute (as usual). It's just for the kids...a little send off, but still I need to pull it all together in the next day or so. And so it was lovely to find out that the gals at Paging Supermom have made some very fun First Day of School printables just for you. 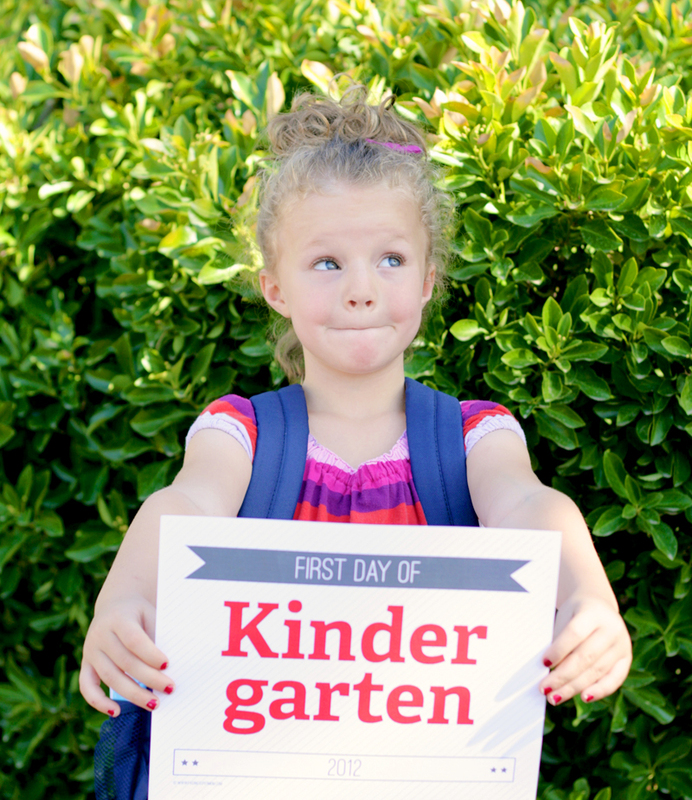 All you have to do is head over to their site and download the grades you need for keepsake photos of your little lovelies on their first day of school. Isn't that handy? Now you can devote your time to all of the other (not so fun) things on that long to-do list, like laundry and finding those very specific mechanical pencils your twelve-year old wants.